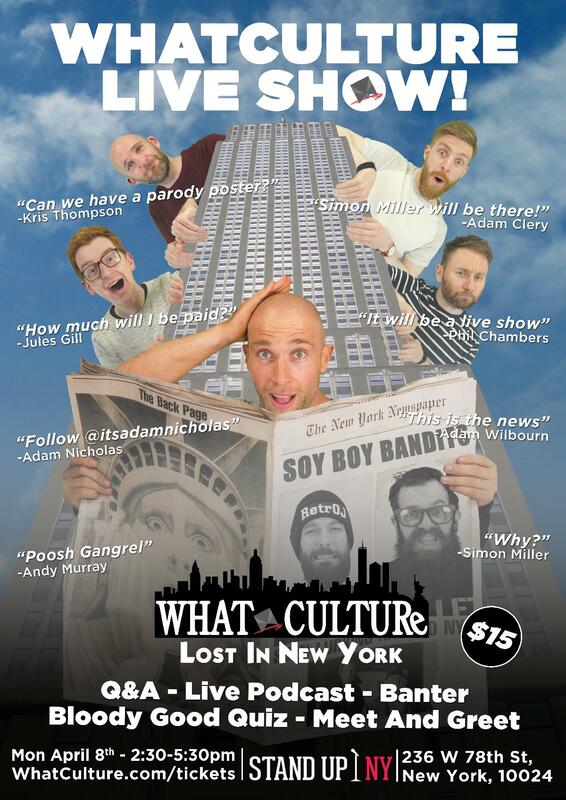 WhatCulture’s first ever live show! Come and join us just before the Raw after WrestleMania as we celebrate wrestling the only way we know how, with a bloody good quiz! There will be a live podcast with audience interaction, a Q&A session and of course the bloody good quiz itself. We will end the afternoon with a meet and great with all your favourite WhatCulture presenters. Simon Miller will be there, along with Adam Clery, Jules Gill, Adam Wilbourn, Andy Murray, Adam Nicholas (we have to stop hiring Adams) and Phil Chambers. Come along, chat about wrestling and let’s have fun before the best WWE Raw of the year!